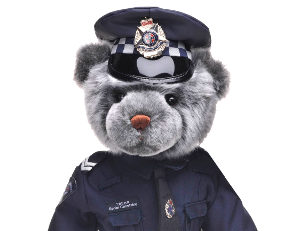 Declaration I hereby tender my application for membership to the Victoria Police Blue Ribbon Foundation and should it be successful I agree to be bound by the Rules of the Association and any other policies and standards approved by the Board of Management. I hereby declare that I have not been convicted of any crimes in Victoria and elsewhere, that I not been declared bankrupt at any time and that I have not been an owner, director or partner of any business that has become insolvent or liquidated. If any of the above do apply and you wish to submit further explanation for consideration by the Board of Management, please do so on a separate document. The Victoria Police Blue Ribbon Foundation respects the privacy of your personal information however it may be necessary from time to time to supply this information in compliance with State & Federal Laws & regulations. Your personal information will also be used to distribute information relevant to your membership and other activities of the foundation. Ticking agreement to the terms and conditions of membership. You will be granting permission for the foundation to use your personal information as described above. Our membership list or individual member’s information for all other purposes shall remain confidential. Applicants will be notified in writing re their application.